Dominic Kaye has been performing to audiences not only in the United Kingdom but around the globe for many years. His pure flair and passion are evident from the moment he steps onto the stage. His flexibility and his whole persona allow him to perform a variety of styles that include tributes to Swing & the Rat Pack, Neil Diamond, the 60's & 70's and more. Each and every tribute performance is nothing short of flawless. Dominic has been nominated for the prestigious National Tribute Music Awards 2016 and 2017. Dominic Kaye takes pride of his ability to entertain making him the perfect choice as a wedding singer and corporate entertainer. He has in fact performed at countless weddings not only during the evening but also during the drinks reception, the wedding breakfast and even at the actual ceremony. 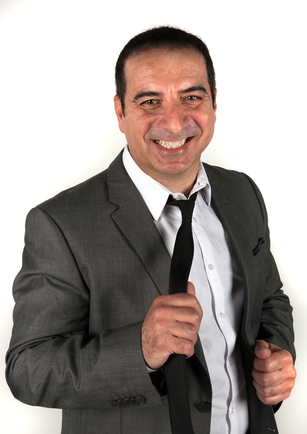 As a corporate entertainer, he has performed for companies such as Bupa, ABinBev, The Metropolitan Police, Brighton & Hove County Council and more. Based in Hertfordshire close to London, Dominic is ideally situated to perform in Essex, Buckinghamshire, Bedfordshire or anywhere in the UK and overseas. For booking enquiries, please contact us.